Leave The Spa looking as sublime as you feel. 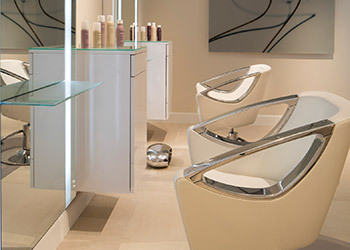 Our hair salon is a chic, carefree setting for pampering—whether you want a fast, gorgeous blowout, stylish cut or an expert makeup application ahead of a special evening. Expert hair care features Living Proof®, Jennifer Aniston’s secret for perfect hair. Looking for tousled tresses or a sleek mane, visit our stylists for a flawless cut. Pricing may vary based on hair length. Additional hair services available. Pricing may vary based on hair length. Make any occasion glamorous with Guerlain, the consummate luxury brand for timeless beauty.